Every year is rife with possibilities and anticipation but 2014 is the most exciting one in Patternfish’s history since we began in 2008. Our newly upgraded site, nicknamed 2.014, is launched. “Thrilled” is barely adequate to describe our feelings. See the Prime Minister’s Desk for information about it. And please get in touch to let us know what you think. All new sites need tweaking and adjusting to make them work as well as they possibly can, so if you notice something that needs our attention, or things you particularly like or dislike, email Gayle. It’s a great pleasure to have the extraordinary Lucy Neatby as the first Designer of the Month in 2014. Not only does she design and teach superbly well, but she also tells a great story. Laugh and be amazed by her life, her designs, and her passions. Patternfish 2.014 has been a long time coming. When we announced in October 2013 that the next issue of the newsletter would be issued on the new platform, of course we were confident that that would take place within four weeks. But as anyone who has ever had anything to do with software will tell you, it's always much more complicated and time-consuming than you think. So here we are in March 2014, two months post-introduction, back with the first newsletter after the launch. The reasons to change from the old Patternfish to a new one were probably very obvious. Gayle and I wanted customers to have a better, cleaner, faster browsing and buying experience. Phil (our Minister of Technology) insisted on tight security and stability. Shannon wanted the publishers' reporting to improve in very specific ways. All of these elements have been successfully incorporated into the new version, but we'll never be “done”. It's an ongoing process, all the time. We were concerned about that, but almost all the reaction has been very positive so far. As we continue to hunt down the 'undocumented features' (i.e., bugs) and build in more refinements, we're sure that the good experiences will get even better. Please join me in thanking Phil Lysons, Gayle Clow, and Shannon Shields for their exceptional efforts to bring you Patternfish 2.014-- Phil especially. He has done little else in his waking hours over the last few months but craft this new platform. Anyone who enjoys Patternfish is in his debt. Heartfelt thanks to all of you who bore with us patiently during the reintroduction of the site. Let us know what you think by emailing us at support@patternfish.com. There are times (after the holidays, or a wedding, or while recuperating from an illness, or some such) when you just want easy. No worrying about keeping stitch counts correct, or combining lace patterns, or anything remotely stressful. Just simple enjoyment of something that-- no matter how basic or 'suitable for beginners'-- is going to look great. And most likely, when you knit from these selections (especially if you allow yourself the luxury of selecting a wonderful yarn), all viewers of the finished garment are going to be dazzled by your taste and chic. This is the very plainest of round yoke styles for little ones-- girl or boy. You know the routine: you make the back and fronts and short or long sleeves, and then join everything on one (circular, I hope) needle and finish the top of the piece with decreases. Looks great in any yarn, and finishing is minimal. Drop-shoulder garments are rarely so good-looking. Kids-- naturally kind of tubular and straight-sided as they are-- don't need a lot of internal shaping, happily, and a more cropped length looks great on them. We love the doubled-over collar, thick and cozy. Sewers may want to put in their own zippers, but we would dash off to the alterations place and have them do it. Here is style and polish along with the simple simple. No separate sleeves-- they are just worked as part of the fronts and back, and sport tremendous shaping at the shoulder so the look is very sleek. We think it's slimming, too, because it widens the shoulders, which makes the waist look smaller. And the look is very haute, very couture. For instant gratification, it's hard to beat this-- a unisex vest in really, really thick yarn, knit all in one piece with no seams. And it comes in both a standard-size and plus-size versions, too. Great for layering during Polar Vortexes (Vortices? ), such as we North Americans have had to endure recently. Even if you're based in more temperate climes, it is both beautiful and useful. This looks involving, but it really isn't. You will laugh when you see how easy it is. It's a knit row, a purl row, a couple of ribbed rows, and that's all. De Longpré has a real way with easy, elegant patterning. This model is so popular that she has made a version for 18" dolls as well as a matching grownup piece-- all happily unisex and looking fantastic in whatever DK weight of yarn you like. This is a secret treasure of a baby piece. It could become something you just make over and over the way some people make socks. (Clever, because you'd always be ready for babies.) Why? Because in any of its 3 sizes, it takes just one skein (350 yds) of the Sock-a-licious. Next time you see a skein of that yarn in a yarn store, seize it and make Sandi Rosner's very simple, very elegant mistake-stitch infant sweater from it. This cowl-necked shell is so discreet and humble that your eye just slides over it in the catalogue. But look again-- it's a terrific find, the Pattern Secret Weapon that gets reknitted year after year in whatever amazing yarn or colourway is the Hot One for the season. It's simple, becoming, would look amazing in any DK, and there's hardly any finishing-- there are no armhole bands, for example. This is a terrific top-down piece for your Housefellow, or any deserving stand-up guy, or girl, or yourself, or anyone. It offers sober, industrious, purposeful good looks for any heavy worsted weight yarn (4 sts = 1"/2.5cm) you can think of. Seamless, too! Finishing is blocking, insetting a zipper, and weaving in ends. We're down with that. 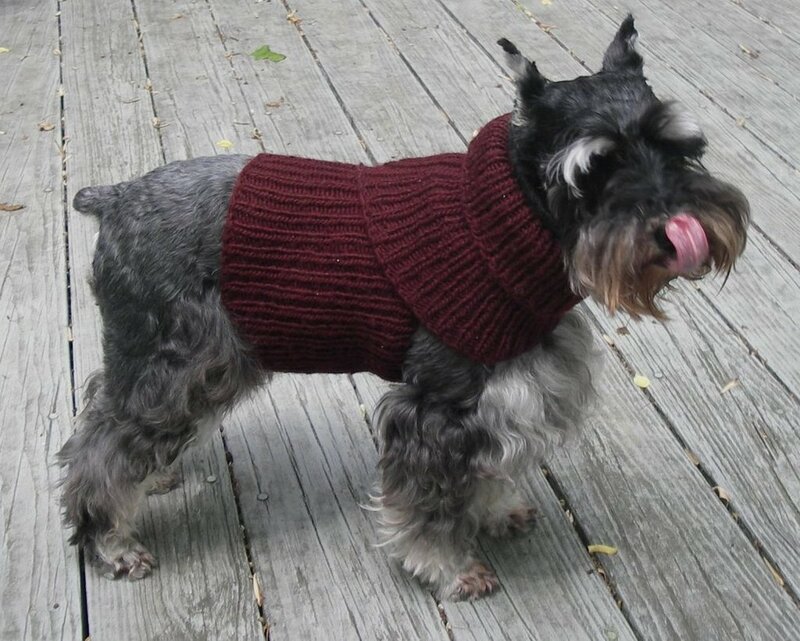 This month I’ve included nods to speedy knits, architectural inspiration, knitting innovation, and knits to keep us and our loved ones, both human and canine, warm when the cold winds blow. I have been a huge fan of Natalie Servant for quite a while. I love her architecturally inspired designs, but here she is with Bulky Bliss, a design that combines her structural cleverness, with reversible patterning and a choice of four ways to execute it. Perfect. This is such a terrific baby and toddler hat from Kate Oates, a designer who excels at all things baby and little boy; the inspiration comes from her family. Enjoy cables and fair isle from the brim up and end it all with a bit of i-cord. Here’s a slightly a-line jacket from Sirdar with cozy moss stitch over the shoulders, on the front band, and at the hem. I’d probably narrow the sleeves a bit and add moss stitch at the cuff, too. It’s such a great, no fuss finish. We’ve been seeing dolmans on the fashion pages and this from the Classic Elite Yarns archive is just the ticket right now. The shaping is easy and straightforward. You may choose exactly how many charming intarsia sheep you want to include. See the pattern description for the Diana, Princess of Wales sweater reference. This is such a simple sweater. Even those of us who are cable fanatics need a change sometimes. Behold a sweater in bulky cashmere yarn from Diamond. If cashmere is too dear, explore the super soft blends. Working effectively with colour change yarns that pool is hot right now, and this Sirdar pattern from 2009 is brilliantly effective. This design would be excellent in a solid colour or more muted variegated yarn, too. In charming contrast to the stained glass inspiration for her shawl, Nancy Whitman describes Eden Prairie as delightfully squishy. It is all knit stitch, but the unusual construction belies the usual ideas we have about garter stitch. What are your favourite stained glass colours? Luise O’Neil’s Transitions Scarf is perfect for the cold weather. It’s delightfully elegant for men or women and a pleasure to knit with its three stitch patterns. This is a great shawl to knit fast for a gift, a wedding, or a special party. The designer, Michelle Porter, is especially fond of the reversible nature of this version of the historic feather and fan stitch. If you find yourself with a baby or child that needs a new hat, or a gift, right now then this one, from Cheryl Beckerich is for you. If you have no bulky yarn on hand, stash dive and combine yarns to create the weight that will give the right gauge. I live on Lake Ontario, close to the waterfront trail, and see lots of costumes for dealing with the brisk winds and winter weather, as well as lots of dogs. My husband saw someone in headgear that covered most of his face and head, very much like Jeanne Abel’s Mufflehead. It’s now in progress for him. Our dog is a 100 pound hunk of love who doesn’t need a coverup, but for a smaller dog, turn Mufflehead into Mufflepup. March is cardigan month in the men’s pattern section. Maybe plan for next year if you’re not a speed demon knitter. Lately, my knitting and stash busting is benefiting from combining yarns. Slippers knitted for a friend included 3 different yarns to get gauge. The effect was tweedy, intriguing, and fun to do. I included one strand of an alpaca yarn he brought me from Peru, one Canadian yarn (Briggs and Little - he’s from Guyana so I wanted to include something Canadian), and one strand from my favourite sweater. Here are a few patterns that could benefit from mixing it up with yarns including the slipper patte. Knitter Sally Holt was driven to invent because what she wanted and needed for her knitting life didn’t exist. A couple of years of work later, knitCompanion appeared. With the knitCompanion App, you can transform your whole library of PDF patterns into highly interactive, personalized knitting instructions. With the knitCompanion patterns on Patternfish, the set up work will be done for you and you can just start knitting, just about anywhere, using your iPad, iPhone, or iPod Touch. Details about the participating designers and just how the program will work will come soon: however, all of Lucy Neatby’s designs will all be available in knitCompanion format. 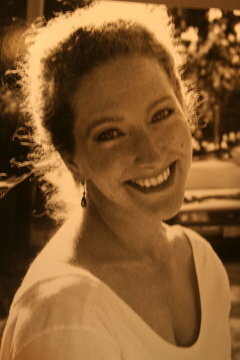 It’s guaranteed; our Designer of the Month, Lucy Neatby, will change your mind, give you insights, and make you laugh. Add the words “about knitting” to each of those phrases and you’ll begin to get some idea of the curiosity piqued, talents gained, and the humour found in each of Neatby’s patterns. Her latest pattern, the Sunburst DK, is a wonderful example of these elements. We are pleased that it is Patternfish’s 15,000th pattern. As well as being an innovator in the fibre and knitting world, Neatby is an early adopter, a person who rapidly sees the value in new technologies and takes them up very quickly, despite the inevitable early struggles and frustrations. (Go to From the Ambassador’s Desk for an Innovation Adoption LifeCycle and see where you fit on the bell curve). When we asked Neatby to tell us about what drove her to become an established designer, she delighted us with the story of her life in Canada beginning with her arrival from the UK with her family and yarn in tow, to now. For Neatby, designing is a constant joy driven by “the new ideas that float into my head like insistent cats, demanding to be knit.” You’ll see the importance she places on supporting the knitter all the way from basic instructions to a Variations section in each pattern to encourage your creativity. Find the story of her arrival and early days in Canada here. Do you have a particular customer in mind when you design? My customer is the curious knitter who likes surprises. My patterns are really vehicles for techniques. I am very specific in my patterns, but also leave areas where knitters can do their own thing. I like to guide them through new-to-them techniques and encourage them to explore and experiment further. Do you have established goals for your business other than the important issue of selling patterns? I want to continue spreading the love of knitting by empowering knitters. I want to help them understand their stitches, and to discover and explore. I want to support the people who work for my company. Also, I am moving towards doing more teaching "off the road", a direction made possible by the ever-improving electronic media. Online classes and my recently launched online Double Knitting Techniques Club allow me to teach far more knitters, all over the world, than would ever be possible in regular workshops. I'm also working on adding further value to my patterns, adding links in patterns to techniques that I publish on my YouTube channel. In addition, I'm filming in-depth tutorials to support some of my patterns. These mini-workshops may be purchased as "enrichment" to a pattern. They comprise about 40 mins of video clips - for $10.00 each. Was there anything you had to learn or unlearn to be a designer? As a teacher, I had to unlearn rotating my yarn-overs the opposite way. As a designer I had to learn to spell! I still have a tendency to do things in my own manner. I feel that an important part of what I bring to the knitting craft is my slightly unconventional approach, so I don't want to change too much. I need to understand how others approach their knitting to be able to offer them alternatives. Most of the material I have filmed on my DVD series has been sparked by the questions asked, or areas of puzzlement unearthed, in my workshops. I learn a lot from my students. What are your best selling designs?! Good old Sea Lettuce! (This It has been a perennial favourite and a top-selling pattern wherever it is sold.) There’s a French language version, too, and a video tutorial thoroughly covering eight steps in Sea Lettuce’s creation. From its seamless beginning to its seamless end, there is something about this scarf that appeals to all knitters. It can be worked in two widths, literally in any weight of yarn, and is ideal carry-around knitting. It can be a narrow jewel-like neck adornment or a gorgeous giver of warmth. It introduces knitters to my modified conventional bind-off, a technique which some have called life-changing! The double knit Bubbles Scarf is also very dear to my heart. It is double knitting, two colours, and the bubbles are just circular shapes stuffed with fleece. A yarn with long colour gradations will give you bubbles of different colours. It is so exciting to see what happens next. I also love the Tancook Hat (named for Neatby’s retreat at Big Tancook Island) and my new Igloo Hat. The Tancook Hat is instant gratification because it is knit top-down and is very quick (big needles, big yarn). The brim has lovely holes through which you can see the underlying colour. The Igloo Hat is fun because it is double knitting, top down (so you can make it as big as you want) and the texture at the sides is so delicious. I gave my most recent one to my friend for her birthday, right off the needles, but she had to agree to give it right back for photography! Fortunately this wasn't too much of an issue in August. The Faroese Flower Shawl is quite a classic. It is an unusual design for me (it only uses one colour! ), but I've knit it many times. I love it because it is logical lace. It is for everyday wear because it's not made with lace-weight yarn, but a medium-weight yarn. It is a working shawl, but it is very beautiful and you don't have to be adept to wear it. The internet has become very important to selling knitting and crochet patterns. Would you comment on that? As with any technology, the Internet's use for good or evil rests with the user's implementation of it. It has helped knitters to connect with one another, has enabled anyone with a pattern to sell to call themselves a designer, as well as to sell and market with minimal mental or capital outlay (not always a good thing). The Internet allows for a free exchange of ideas, which has on occasions resulted in plagiarism or down right copying (not so good), but it has also helped to defend designers' rights and helped knitters see that $7 for a pattern can be well worth the money, saving the knitter hours of frustration that many free patterns bring (a very good thing). It has encouraged and enabled established knitting designers to innovate and take their products and ideas to the next level. How do you think the knitting/crocheting/fibre world will change in the next 10 years? Knitting and playing with fibre will remain a constant. How we will access and use the patterns and resources is really beyond my wildest imaginings. We need to value designers and yarn shops, and not get too swept away in the online purchase of wool. There's no substitute for feeling it. Buying good patterns online can actually help local yarn shops because they don't have to stock physical patterns, which is a major capital outlay and organizational nightmare. Where do you think you and your business will be in 10 years? In 10 years I think I will be semi-retired. I will still be writing occasional patterns, since I don't think I can stop my brain. I may still be filming instructional videos. I expect I will very rarely be traveling to teach workshops but maybe hosting the odd camp. I’d like to get back to sailing small boats, making more quilts (not sure why exactly) and enjoying my family. How did you decide to list your patterns with Patternfish? Many years ago, I met Julia and she was very persuasive, something I am extremely grateful for! She encouraged me to make my patterns available digitally. This started me converting all my patterns to this new foreign format called PDF. I re-drew all the diagrams, re-formatted all the patterns, and re-photographed all the samples. Julia thus kindly led me into the digital age, into this brave new world where I am now having such fun. I have loved working with Patternfish. They are supportive and delightful to deal with, and are constantly innovating. Editor’s note If you are not familiar with Neatby’s designs you may think that she avoids garments. Not so. The resident cardigan lover at Patternfish (me), loves the Venus Rising Cardigan, "simple knitting peppered with sophisticated techniques”, available in Baby Venus, too. You’ll find all of Lucy Neatby’s patterns, books, and video tutorials here. Stephanie Voyer of A la Maille Suivante debuts with Balise, a headhugging stripes and chevrons pattern created for her baby girl. Understandably, people simply clamoured for a pattern so she wrote one for all ages, in nine sizes. Each Voyer pattern includes instructions in both French and English. See her Collection for more designs for her daughter, socks for her grand-ma, and cowls for her friends. First up at Patternfish for Jenise Reid is Sand Tracks, a cardigan knit from the bottom up in lace weight yarn on size 4.0 mm/6.0 US needles. Reid found the Sand Tracks stitch pattern in an old stitch dictionary, loved it, and saved it until inspiration hit. This design looks like there is lots of finishing involved. There isn’t. Borders are knit with the body; sleeves and body are knit bottom up and joined; graft a few underarm stitches, sew on buttons, and you’re done. Laceweight cardigans at a loose gauge with no sewing seem to be Reid’s speciality, along with gorgeous shawls. Check out her Collection. This beautiful and graceful accessory, from new Patternfish designer Leah Coccari-Swift, is called the Octo Shawl, and was inspired by a photo of a semi-translucent vampire squid. Oh my. While some may be tempted to give it another name (count me in), many will be tempted to make it (count me in again). For a fan of laceweight yarn, stash yarn may do very well, in co-ordinating colours. Elizabeth Felgate debuts at Patternfish with her Haunting Shawl. Not only does Felgate design evocative, intriguing accessories, but she is meticulous in her pattern writing and describes each action required to make this shawl in the simplest and clearest ways. My favourite part of Haunting is the “note on reading your knitting”, a valuable addition to a lace pattern. Claire Crompton’s debut design is her knitterly Striped Squares Bag.This pattern is a class in itself on constructing and joining modules, creating two kinds of handles, and lining a bag. Plus it’s a beautiful bag that can be worked as shown in two colours or with your favourite DK weight stash yarns. Betty Fay Wallace creates charming and beautiful crocheted garments for the littlest ones and declares that you can’t make her Celio Crocheted Baby Dress without adding a little love. It’s hopelessly enchanting. Be sure to check out Wallace’s La Villa Fingerless Gloves, too, for an adult version of her lacey crocheted stitches. Noro Magazine patterns are a celebration of the yarn that is Noro. From the website: “We are mesmerized as stitch after stitch forms and falls from our needles. We expect the unexpected, crave the next colour, and are often hopelessly addicted.” The debut pattern, Irina Poludnenko’s Cropped Jacket, uses two colourways of Noro Silk Garden Sock yarn and is shaped with short rows. If you are new to short rows, garter stitch is the best possible place to begin, especially when this stunning and wearable garment is the result. The Right Start to Creating in the New Year - from Glenna C.
Glenna C., one of our designers, has a terrific blog. I read it every week. To launch 2014, she compiled “bits of advice” that she shares with new knitters in her classes and with her knitterly friends. Glenna has generously allowed us to include her compilation here, her gift to us and to you this new year. Many of the “bits of advice” would work equally well for other arts like woodworking, painting, crochet, spinning, sewing… Insert your own passions. You can see all of Glenna C’s designs here. Here are a few favourites. They are trying to teach you something new, usually when you are trying very hard not to learn something new. Try hard to be honest about the skills you have, and the successes you have had with them. Recognize what you don’t know how to do (yet) and let your future projects build up your skills as well as add to them. There’s lots you can do, even if there’s lots you don’t know yet. Knitting is filled with infinite small victories, many of them only acknowledged quietly to ourselves, and many others not at all. It feels good to feel good about making something. Take an inventory of the things you don’t know how to do yet but would like to be able to do. The only scorecard of knitting skills you need to be observing is the one that gets you working on the projects you want. Don’t bother with cables if you don’t want to make them. Learn beaded lace knitting if it’s the only skill standing in between you and the finished project you really really wish you had. You get to decide. Our yarn choices are many and our knitting time is limited, and there is no reason to make things in colours that don’t bring you joy to knit and wear. Allow yourself to stop knitting on projects that don’t match those reasons. When a project feels like too much for you to handle or that everything is too confusing, put it down and go back to it when you are ready – at some point, you will be, even if it doesn’t feel like it right now. This is knitting world and there is no schedule. Take your measurements, or have a trusted friend help you take them. Body measurements have no relation to retail sizes, and in knitting world you get to knit for the you that exists in the reality of physical space, with yarn quantities being your only limitation. Knit for the size and shape you are now, and for the fit that brings you comfort. If your size or style preferences change in the future, you can also change your knitting to reflect that when you need to. Change the length, make it a pullover instead of a cardigan, change the gauge, combine one size for the bottom with another size for the top if that’s what’s going to fit you best. Modify everything in that pattern if it helps you get the results you want, because you’re the only one with your body and your brain and these things will always make you smarter than whatever pattern you are working from. The pattern is the entry point, and can be made as dynamic as you want. Let yourself sit with a project while you figure out how to do it. Try things out and see if it works. Not everything is going to be easy, but the hard things are usually worth finishing. Acknowledge the kinds of things you truly enjoy knitting. The rest of your wardrobe can still be found at the mall. Even if they seem like it on the internet. (Especially if they seem like it on the internet). Everyone has their own struggles – even in knitting world – and what some people make look easy, may seem impossible to others. Do your thing. You can create things with your own two hands and some skill, and this is not a small thing. You are a different knitter from the one you were when you started, and from the one you will be a few years from now. Here’s a collection of patterns just for you.